The ever so great Taschen has done it again. This time with tickets to ride, fly, sail and drive, they cover 100-years of traveling from an American perspective. At 392 pages filled with spectacular illustrations, ads and other goodies for only $39.99 it’s a bargain and available to purchase in May. Which is your preferred way of traveling? By land, air or sea? In less than 100 years, the U.S. mass-produced the automobile, invented airplanes, freeways, motels, even sent men to the Moon. Travel grew ever faster and easier. Above all, it was democratized — enabling millions to explore distant lands, or see their own more fully. At the start of the 20th century, only people with extensive disposable income and time to spare could enjoy leisure travel. By the century’s end, journeys took hours, not days, and mass travel — especially brief air flights — became the new normal. 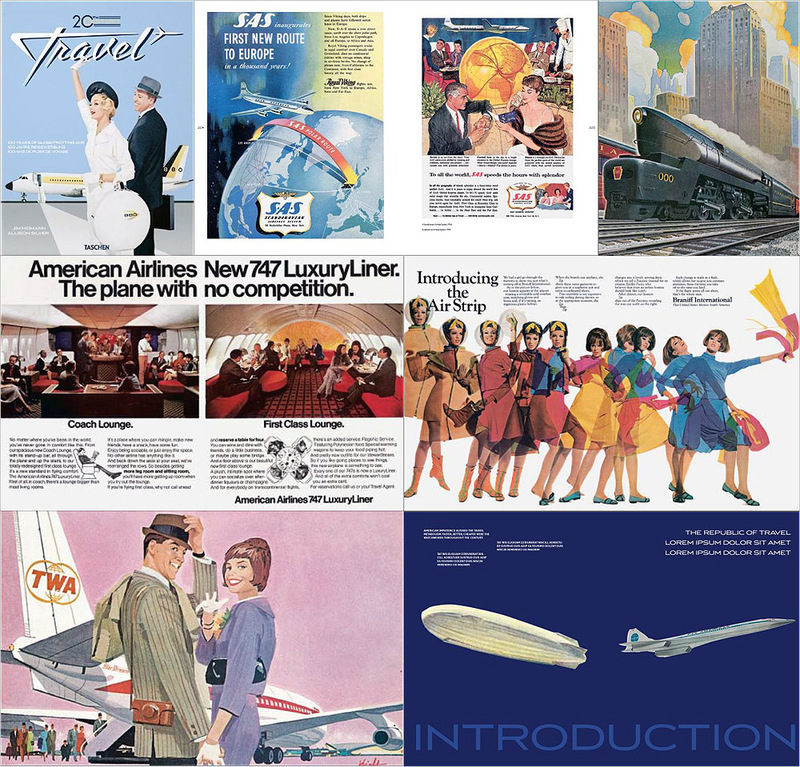 Along the way, ocean liners broke speed records, aerodynamic trains roared down the tracks, stylish boat-plane clippers evolved into jumbo jets. Whether aboard high-speed locomotives or ships, jets, or Greyhound buses — or when setting their own schedule on the open road — Americans demanded ever greater mobility and wider choice of destinations, thereby setting a new standard for travelers around the world.